Talk about brightening up a garden. The NuMex Centennial, like its cousin the NuMex Twilight, is a rainbow of color. But unlike the Twilight and its cayenne-like zing, the NuMex Centennial brings its beauty with a much more eatable low-medium heat – much like a jalapeño in spiciness. 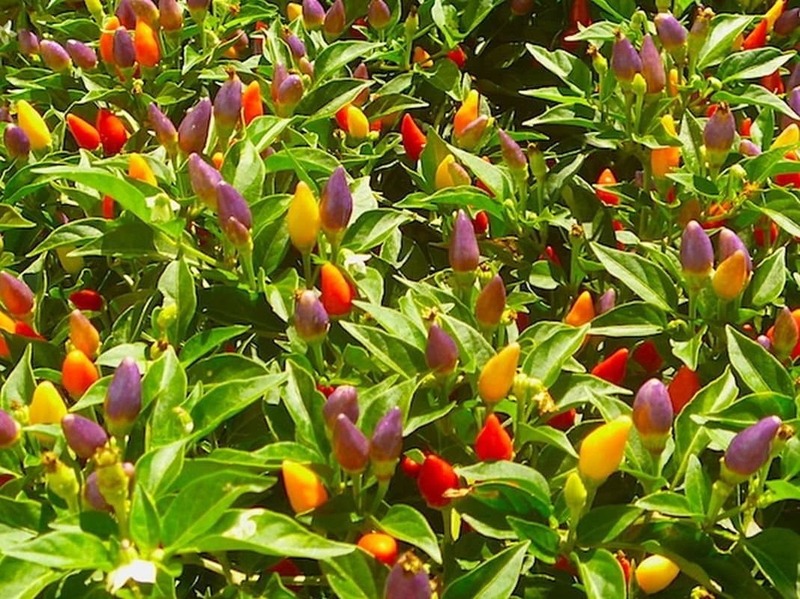 It’s a colorfully bold ornamental pepper that – while not overly complex in flavor – can add a nice pop of color and spice to all sorts of dishes. How hot is the NuMex Centennial pepper? They compare very well to our reference point – the jalapeño pepper – with the chance to be slightly milder. The NuMex Centennial has a Scoville heat range from 1,000 to 5,000 Scoville heat units (SHU). That’s not quite as hot as a jalapeño can get (2,500 to 8,000 SHU), with the potential for this beautiful ornamental pepper to be up to eight times milder, when comparing the mildest possible NuMex Centennial to the hottest possible jalapeño. Why are they called “NuMex Centennial”? 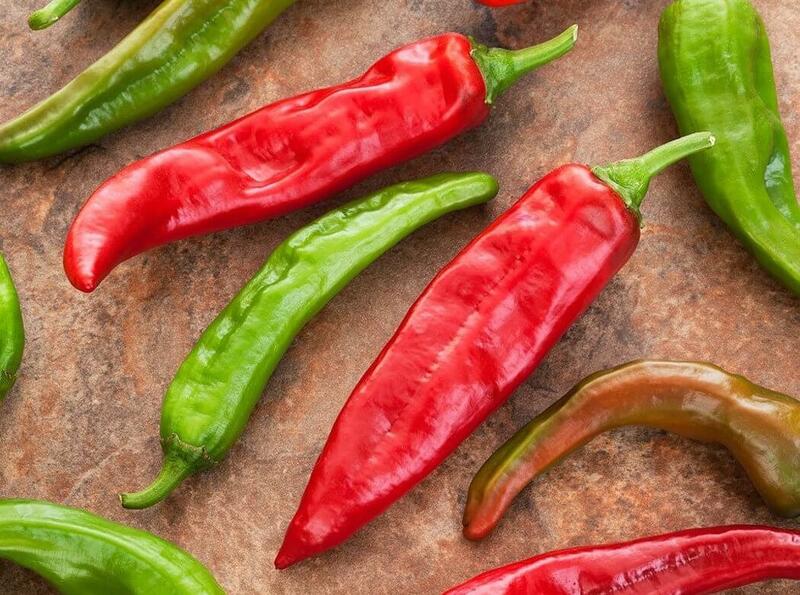 “NuMex” is used by New Mexico State University to signify any hybrid chilies that found life at their facilities. 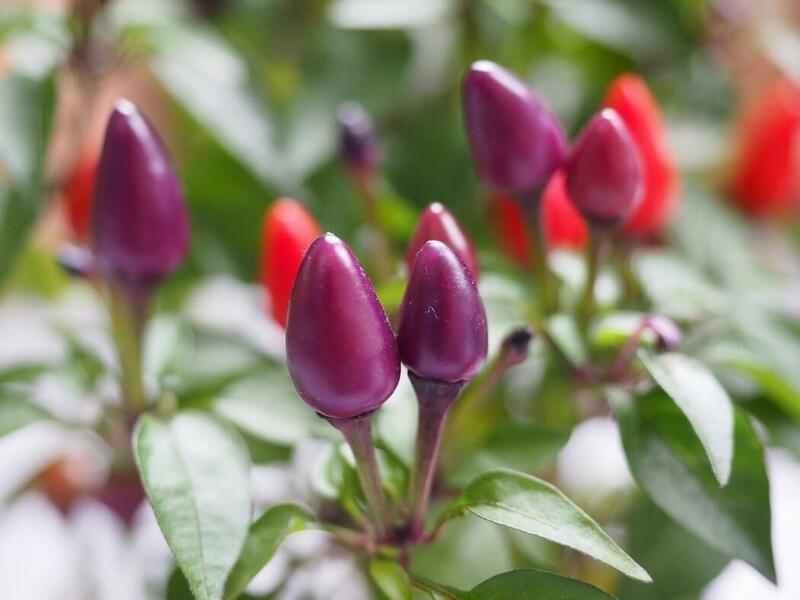 “Centennial” is used for this particular ornamental pepper because it was developed the same year as the university’s centennial anniversary. What do these ornamental chilies look like? They share a similar pequin-like look and colorful aging cycle as the NuMex Twilight. 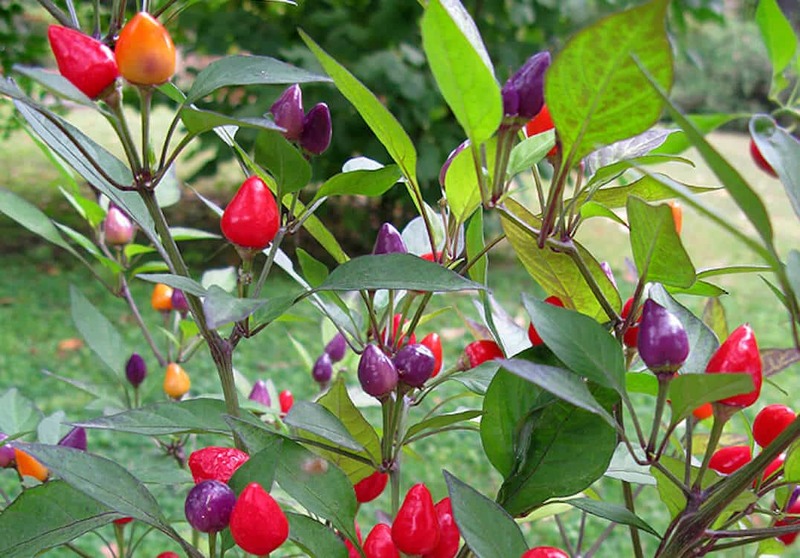 The chilies grow to about an inch in length, bulbous yet tapering to a point. They age from a beautiful purple to yellow then orange and finally red. In terms of this coloring, the main difference between the Centennial and the Twilight chilies is the yellow stage tends to last longer with NuMex Twilight. Though in both cases, the plants are chock full of ornamental peppers at all stage levels, making the NuMex Centennial a beautiful cacophany of color. Another key difference in look between the two close ornamental cousins are the plants themselves. NuMex Centennial boasts purple leaves and purple flowers while NuMex Twilight has green leaves and white flower. This may be a key point when choosing the best ornamental foliage for your garden. What does the NuMex Centennial taste like? Don’t expect a lot of nuance. Like most ornamental peppers, flavor is secondary to looks. But it has a pleasant eatable heat along with a bitter bright flavor. Beyond being a beautiful ornamental, the NuMex Centennial is a terrific way to add color to salads and soups. That jalapeño-level heat makes it a relatively family-friendly alternative in the kitchen. Where can you buy NuMex Centennial peppers? You can buy NuMex Centennial seeds easily online, and maybe at your local gardening center if it’s well sticked on ornamental pepper plants. It’s a definite beauty to brighten up your container gardening or landscaping, with a very eatable heat. If you’re looking for a colorful ornamental, though, with big spicy punch, be sure to check out the NuMex Twilight, too. It’s a just as colorful cousin with real fire in its veins.